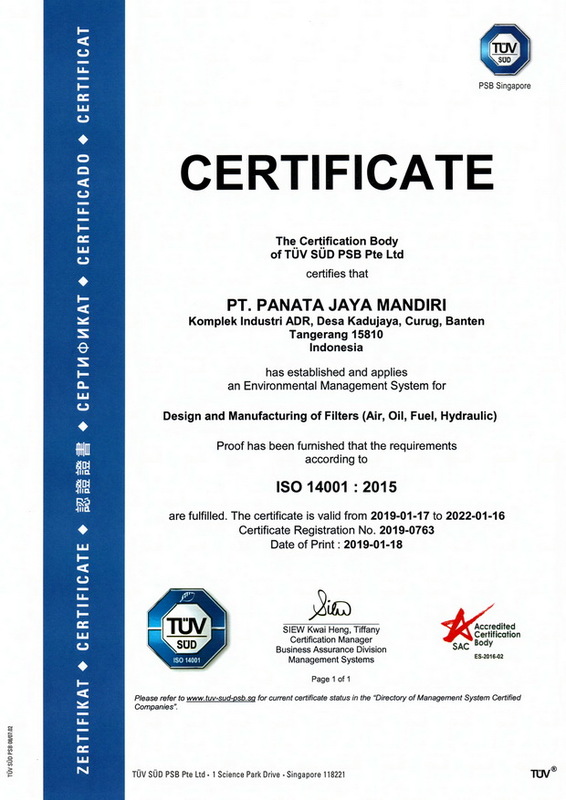 PT Panata Jaya Mandiri (one of SMSM' subsidiaries) is proud to have achieved ISO14001:2015 Environmental Management System (EMS) certification for the scope of Design and Manufacturing of Filters (Air, Oil, Fuel, Hydraulic). Achieving these internationally recognized standards is only the start of our pursuit to achieve the very highest standards of environmental sustainability in our business practices. We actively work towards reducing our environmental impact in all that we do, and work with both our customers and supply chain to achieve and continue to touch and improve lives, now and for generations to come.